I was pleased to receive an invitation to do career day at Kittredge Magnet School in Atlanta. The request came from Erin Myers-Beck. She was one of my volunteers for the Clowns Without Borders show on September 15 of this year. The school was looking for more artist to present at career day. Erin thought of me. Erin looks like she could be a future clown. At Career day Kittredge Magnet School. Oct 26 2018. Erin at the Clowns Without Borders Fundraiser, September 15 2018. 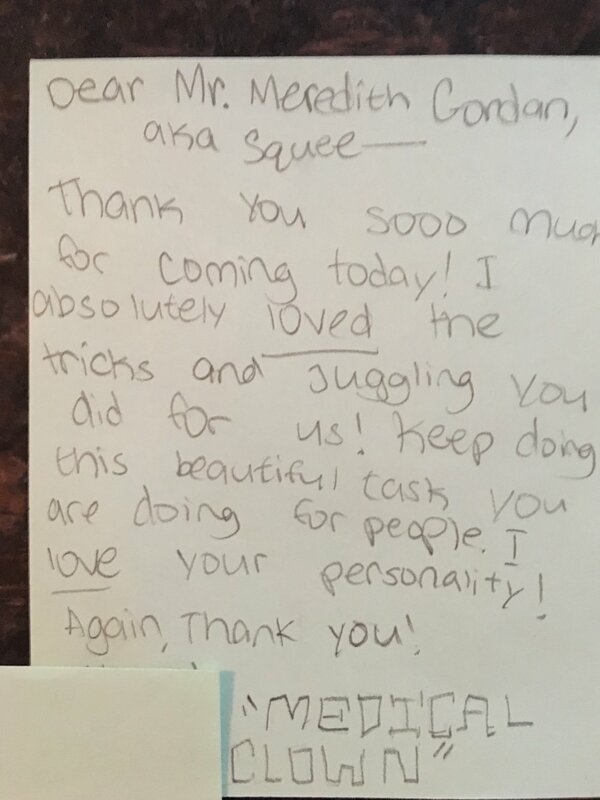 A few thank you letters from the kids.